An interface is configured on a router for OSPF but the command "show router ospf neighbor"
does not show any neighbors. Which of the following is NOT a possible cause? An OSPF database description packet has not been received from the neighbor. The router has not received a valid OSPF Hello packet from its neighbor. The interface facing the neighbor is down. The interface is included in a different area than the neighbor router. command can be used to test the static route on an Alcatel-Lucent 7750 SR? Which of the following statements best describes the function of an OSPF Type 4 LSA? A Type 4 LSA is originated by an ABR to describe a route to an ASBR to routers outside the area. area to provide routing information. A Type 4 LSA is originated by an ASBR to describe a route to itself to routers outside the area. backbone area to provide routing information. Which of the following statements concerning OSPFv3 is false? MD5 Authentication is not supported. OSPFv3 uses a 32-bit router ID. NSSA is not supported in OSPFv3. of the LSA in the LSDB. The router sends a link-state update to its neighbor. The router takes no action. The router sends a link-state request to its neighbor. The router sends a link-state acknowledgement to its neighbor. The router updates the information in its LSDB with the information received from its neighbor. deciding which route to make active? The routing information base (RIB). The link state database (LSDB). The forwarding information base (FIB). The routing table manager (RTM). The equal cost multipath configuration (ECMP). Which of the following is FALSE regarding link-state protocols? Each router constructs its own link-state database with updates received from neighbors. The link-state database is identical for all routers in a single area routing domain. When a router performs an SPF computation, it sends the results to its neighbors. Router R2 needs a static route to the PC. Router R2 needs a default to router R1. 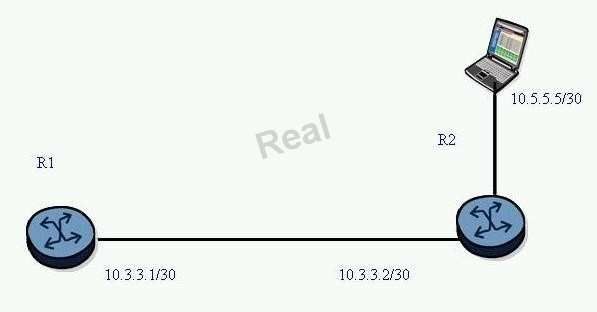 Router R1 needs a default route to router R2. A static route needs to be configured with a next-hop that is NOT directly connected to the router. The router must also have an active static route to the next-hop specified in the static route command. The system address of the next-hop router must be included in the static route command. The command option "indirect" must be used in the static-route command. globally routed addresses in IS-IS. 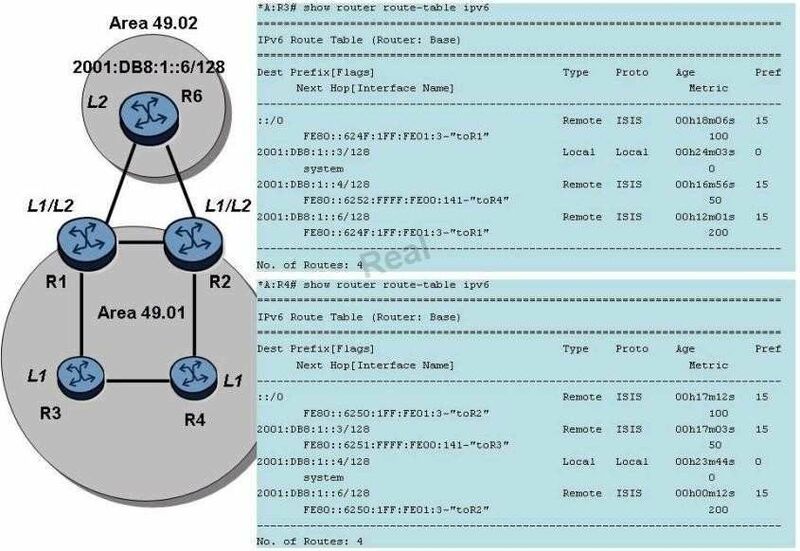 How many routes will router R4 have in its IPv6 route table? All ports in the network are operationally up and have a speed of 1Gbps. Data traffic from network 192.168.1.0/24 to 192.168.3.0/24 will be forwarded through router R2. 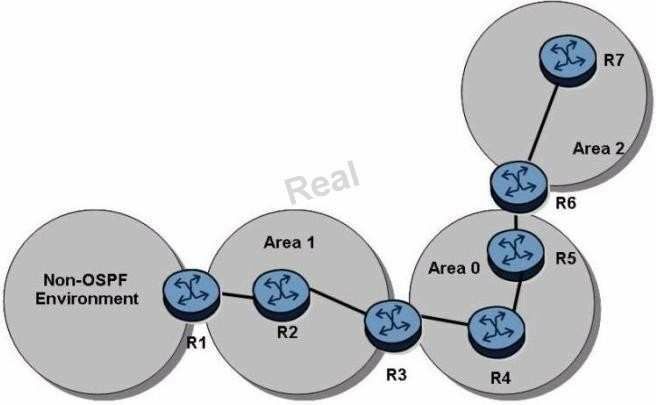 The OSPF adjacency between router R1 and router R3 is operationally down. Data traffic from network 192.168.3.0/24 to 192.168.1.0/24 will be forwarded through router R2. Which of the following about the OSPF BDR is TRUE? A BDR is always required on point-to-point links. The second highest RID is always the BDR. The BDR only listens for link-state updates sent to 224.0.0.5. What is the replacement for ARP in IPv6? The use of Broadcast messages in combination with Neighbor Advertisement messages. 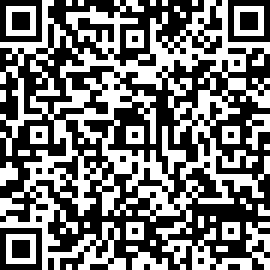 The use of Anycast addresses in combination with Link-Local Advertisement messages. The use of Anycast addresses in combination with Neighbor Advertisement messages. The use of Solicited-node multicast addresses in combination with Neighbor Advertisement messages. routers have a system address included in IS-IS. Which of the following describes the route that router R4 will use to reach the system address of router R6? Router R4 will have a route to router R6's system address with router R2 as the next-hop. Router R4 will not have a route that can be used to reach the system address of router R6. Router R4 will have a default route with router R2 as the next-hop. Router R4 will have a default route with router R3 as the next-hop. The numbers beside the links are the metrics for that link. if IS-IS is the routing protocol? 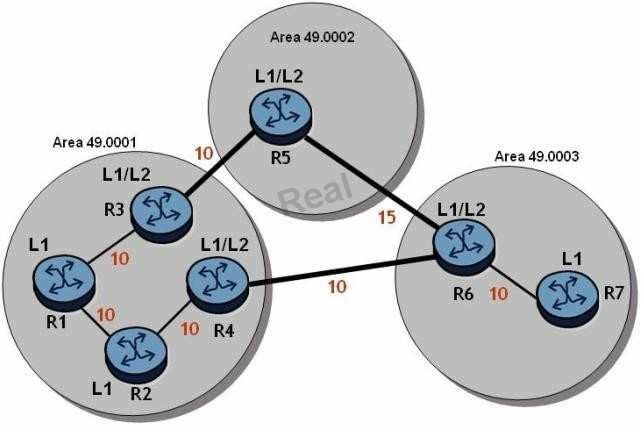 Based on the topology shown and the route tables of routers R3 and R4, which of the following is correct? 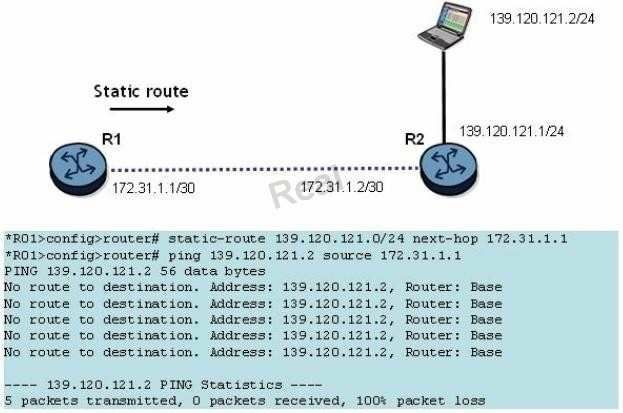 There is no route leaking configured on router R1 or router R2. Route leaking is configured on both router R1 and router R2. Route leaking is configured on router R1 but not on router R2. Route leaking is configured on router R2 but not on router R1. interfaces from the non-OSPF area. 'asbr' is missing from router R1's configuration. Router R1 needs to have an import policy added to it. Router R1 needs to have an export policy added to it. Router R5 does not have an export policy for these prefixes. 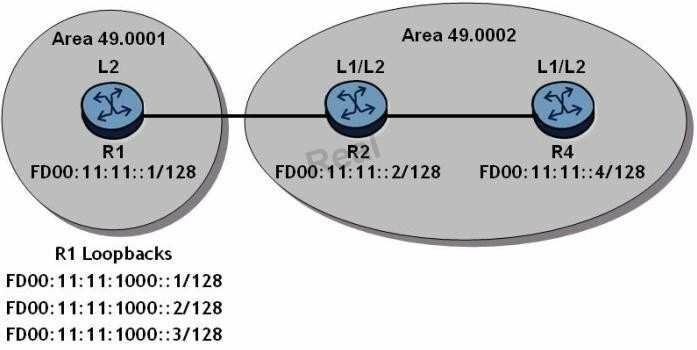 Which LSA type is not found in point-to-point only OSPF networks?